For months I’ve been trying to coax some west side writers to Spokane to experience the quality that I get to experience every day. In June, I was honored to be a part of a trip that included Joe Roberts (1WineDude), Ben Simons (Vinotology) and Eric Hwang (BricksofWine). For the last two weekends, I’ve had the privilege of drinking wine and touring wineries with Sean Sullivan (Washington Wine Report) and Bean Fairbanks (Wine Beer Washington). This weekend was my turn to play host here in Spokane. Spokane IS a destination for wine and is earning recognition for quality and value production. 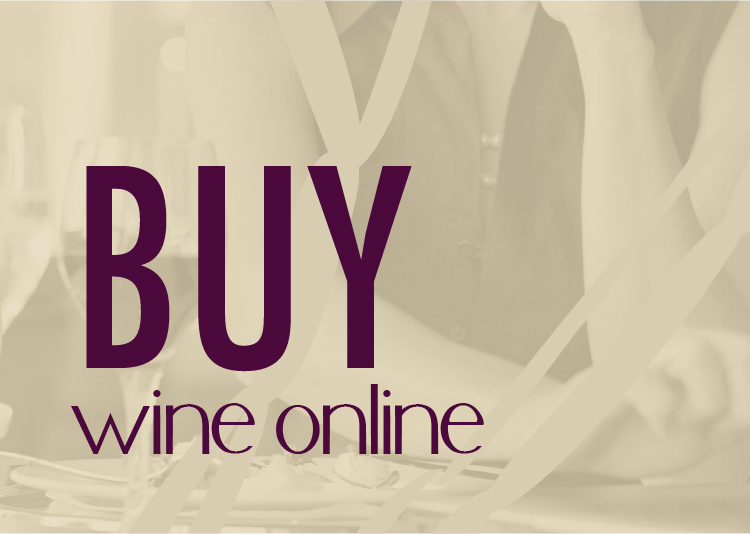 90% of Spokane wines are under $30 and are receiving many 90+ scores in trade magazines. 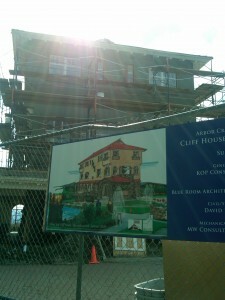 Robert Parker recently called out Spokane’s Arbor Crest as one of the best in the state for value and quality. With 20 wineries pouring at 17 tasting rooms, you can experience a wide variety of styles. For Sean and Bean’s trip, I was able to show them some key wineries and give them a tour of the area. 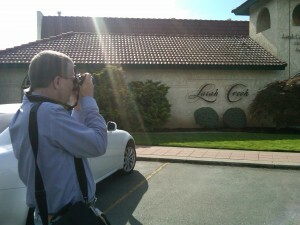 In all, we explored 8 of the 18 wineries from Downtown to Liberty Lake. Sean and Bean arrived in Spokane around 6pm and Sean hosted the first Spokane focused tasting for his monthly virtual tasting on twitter. A handful of people tasted through the Townshend Vortex NV Red Blend. As we drained that bottle, we moved on to wine from Smasne Cellars and Nodland Cellars before calling it a night around 1AM. Bean’s focus was the Spokane Oktoberfest happening in Riverfront Park, but she joined Sean and me at Latah Creek. Sean, with clipboard and temperature pen in hand, is a machine when it comes to wine reviews; sipping, spitting, jotting down notes with every wine. Mike Conway and team were bottling their popular Huckleberry Riesling. Mike’s daughter, Natalie and wife, Ellena gave a grand tour of the wines and we even got a sneak peak at Latah Creek’s new label direction (see picture). Latah Creek was the 18th winery in the state. Their leadership and direction has paved the way for all the other Spokane wineries. 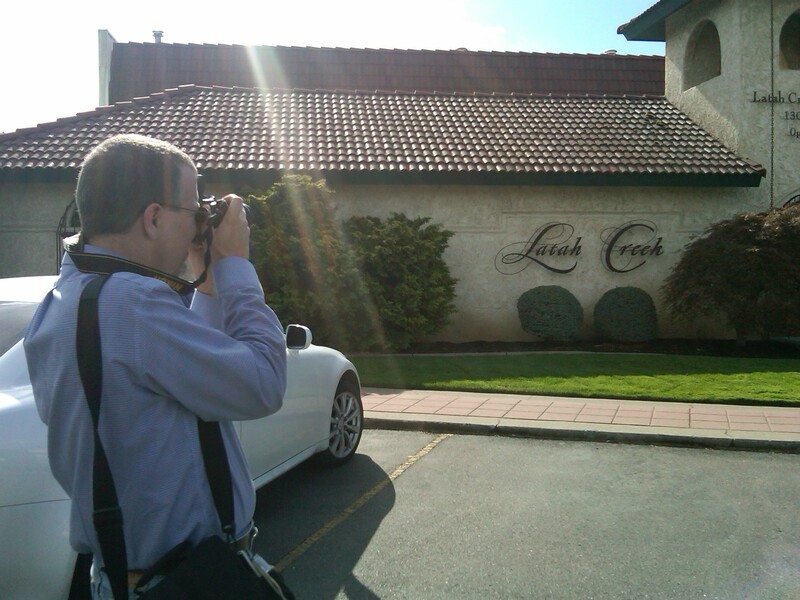 Our next stop was Arbor Crest for a chat with Jim van Löben Sels, director of operations and viticulture manager. Progress on restoring the Cliff House mansion after December’s fire is coming along quickly. The renovations should be complete in November. 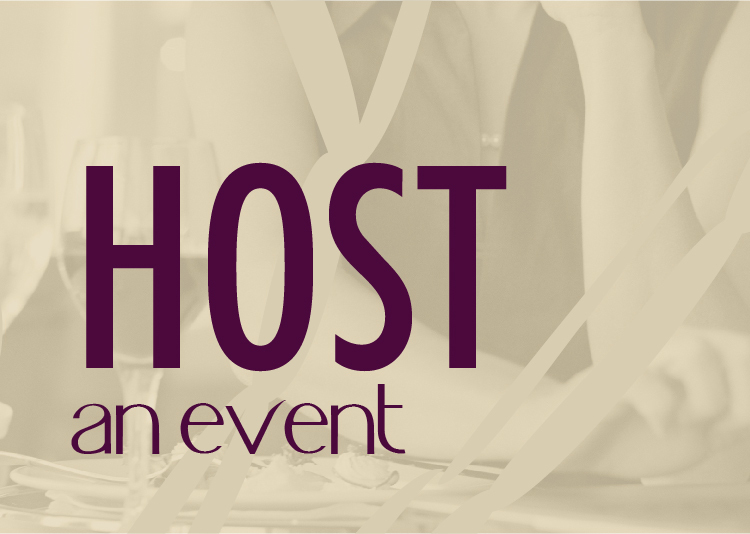 Arbor Crest is the city’s most majestic space to enjoy wine with views of the entire Spokane Valley. A stand out wine during the tasting was the 2008 Malbec and 2005 Dionysus Bordeaux style blend. After lunch we headed to Robert Karl where we chatted with Joe and Rebecca about their focus on old world flavored Bordeaux wines. Joe and Rebecca Gunselman moved to Spokane in 1998 to open their family winery using the greatest grapes in the world, which they believe to be in Washington State. With grapes grown in Horse Heaven Hills, Robert Karl has garnered major acclaim for consistent quality being recognized with 90, 91, 92, and 93 point scores in Wine Enthusiast. 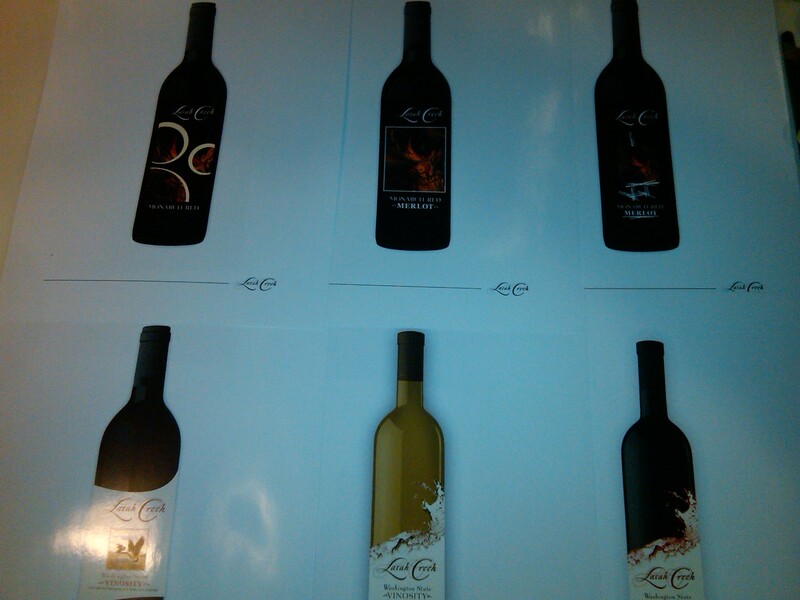 One stand out wine was the 2006 Inspiration, a Bordeaux style reserve blend. The final winery stop of the day, but far from the end of the evening activities, was Spokane’s newest winery, Overbluff Cellars. I wanted to make sure the trip included a variety of experiences that included heritage, majestic views, and fresh energy. John Caudill and Jerry Gibson shared their story and we tasted through what little of the wine they still have left (sold out of the Reserve Cab and the Duality Cab). While not quite ready for release, we did get to try their newest wine, Hip Hip Syrah. As if these four stops were not enough, we ventured to Vino Wine Shop because we got wind that they were pouring Maison Bleue wines. Sean’s excitement about the wines meant that I had to experience them. The Rhone focused wines were incredibly well made. I was especially impressed with the white wines Chardonnay, Viognier and Roussanne. With my newly acquired Roussanne in tow we headed home for pizza and, presumably, more wine. Sean and I polished off the Roussanne while tweeting and chatting by the fire and then headed downstairs to watch a movie. Admittedly, I’ve never seen Sideways, so we tried to find it On Demand. With no luck, we settled on the classic Napoleon Dynamite and after my step-son beat Sean in two games of air hockey, we laughed our way through another bottle of Smasne Cellars wine. Sleep. I’m a fan of each of the areas I took Sean and Bean, but I was particularly excited about Saturday’s visits to Barrister, Nodland and Liberty Lake. Each winery was buzzing with fun activities. Before starting our day, I took Sean on a tour of downtown pointing out the wineries we were not able to visit, key restaurants and other tourist spots. A highlight for Sean was the Davenport Hotel. The beauty cannot be captured on film. Sean, obviously a wino rock star, was spotted by an adoring fan in the lobby. “Are you Sean Sullivan?” Slightly embarrassed, but mostly flattered, Sean chatted with the blog reader for quite some time. At Barrister Winery, the first grapes of the season had arrived. 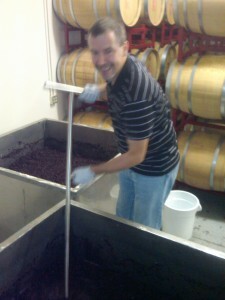 Volunteers were helping de-stem the Merlot to prepare it for fermentation. Greg and Michael treated us to barrel tasting in their amazing barrel room and a host of wines including a “sold out” library wine, the 2005 Syrah. A-MA-ZING. Probably one of the 10 best wines I’ve ever had. In chatting with Sean, it was obvious that Barrister made an impression on him. After a long visit at Barrister, we headed to the Valley for a stop at Nodland Cellars. 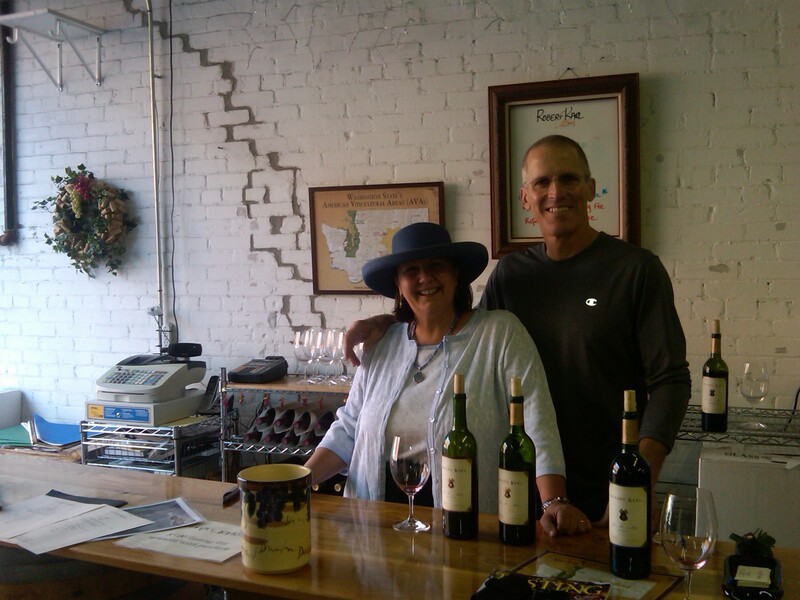 Tim and Tracy Nodland have made a name for themselves with their one red wine, the Red Blend. The Bordeaux style wine includes all six of the original varietals, including Carmenere. The Nodland’s also produce a classic Riesling and are branching out into very small productions of reserve Cabernet, 100% Carmenere, and a new Rockin’ Red Blend. Tracy was in the middle of punching down their Merlot and let Sean get in on the action. Luckily, Sean didn’t embarrass himself by falling in and ruining the 2010 vintage. The final stop of the weekend was Liberty Lake Wine Cellars. This small 500 case production winery is on the edge of beautiful Liberty Lake and makes for a fantastic destination to enjoy wine. Impressed with their Red Mountain fruit, Sean chatted with Doug and Shelly Smith about their story and wine making philosophy. The Smith’s were celebrating the release of their first reserve wine, a blend of Cabernet and Syrah, called the Heritage. At $28, the wine is an over achiever at its price point and a stand out wine. I was honored to share my home with Sean and Bean and extend an offer to any wine writer to come enjoy the beautiful surroundings, fun activities and quality wine that Spokane has to offer. While Spokane may not have the number of wineries that are in Walla Walla or Woodinville, it certainly is deserving of adding to your day or weekend trip plans. Josh, I can’t thank you enough for providing the inspiration to come visit the Spokane wine scene, for letting me stay at your home, and for chaperoning me about the valley. It truly meant a lot to me. I look forward to writing about the wines in the coming weeks. Spokane – and Washington – are fortunate to have such a strong advocate on the ground there. Keep up the great work! Sean it was my pleasure to host you and Bean. I love sharing the great world of wine that Spokane has become. Enjoyed your post. Glad you got Bean and Sean to Spokane. We were there last year (http://winepeeps.com/2009/06/01/spokane-washington-undiscovered-wine-country ), had a great time, and tasted some very good wines. Greg Lipsker was a terrific host, and set up a grand tasting for us. Have continued to follow the wineries since then. Thanks, John! Really enjoyed your posts on Spokane as well. The region is showing some great wines. Glad to have all you west siders over to the warmer and sunnier side of the mountains!